This is a hot item! With mesh gothic style sleeves and a mermaid hem you are going to absolutely love this dress! Available in many lycra patterns. Also available with open or closed back. 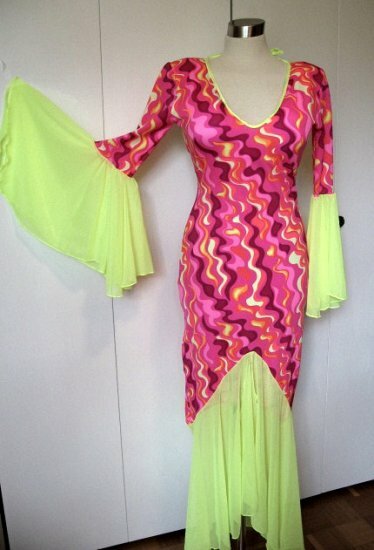 I've received rave reviews on this number!